Today we learned that a trio of former big leaguers will get their plaques in Cooperstown during the last weekend in July. They are Jeff Bagwell, Ivan Rodriguez, and Tim Raines. All three are worthy in my view. That makes twelve inductees in the last four years via the baseball writers, an average of three per election. Going back nine years there have been 18 inductees, or two per year. Those figures are historically high. Several things have converged to change the landscape: the Hall reduced the years of eligibility from 15 to 10 years; the BBWAA purged their voting electorate, removing many from the rolls; and statistical analysis has helped to tell a new story about the careers of the candidates. I don’t have a crystal ball, but I have written tens of thousands of words about the Hall of Fame and done hours of research into the voting history. I also worked for the Baseball Hall of Fame for several years. Based on that, I’m willing to take a stab at the next few elections. The trend will continue as four players will be elected, as there were in 2015 when Craig Biggio, Randy Johnson, Pedro Martinez, and John Smoltz got over the top. That year we saw three first-timers get in, and next year there will be two: Chipper Jones and Jim Thome. Both players have the credentials. Jones is one of the few players with more than 1,600 RBIs and runs scored. He won one MVP award and finished in the top ten in voting for that honor six times in his 19-year career. He’ll join former teammates Greg Maddux, Tom Glavine, and Smoltz as Braves greats elected recently. Thome hit 30 homers twelve times on his way to 612 for his career. That’s more than all but six players in baseball history. Returning candidates Trevor Hoffman and Vlad Guerrero only need to add a handful of votes to reach the 75 percent needed, and they both will. The election of Guerrero will give the Expos four inductees in recent years, along with Andre Dawson, Pedro Martinez, and Tim Raines. This will be Edgar Martinez‘s final year of eligibility. Many think the former Mariner designated hitter will make it in 2018, but he’d have to jump about 17 percent and I still believe there are voters out there who don’t think a “part-time” player should get in. Edgar will be the first to have played more than half his games as a DH to be elected to Cooperstown. Mariano Rivera will probably get more than 98 percent of the vote, though I don’t think he’ll break Junior Griffey’s record for highest vote percentage. For the second straight year Yankee fans will have reason to drive to Cooperstown in late July, as Derek Jeter will be an easy first-ballot inductee. Mike Mussina had nearly 52 percent this year and 2020 would be his seventh time on the ballot. I think with the obvious choices cleared out in front of Moose, ’20 will be his year. Which will be nice, since he was also a Yankee star for the last half of his great career, meaning Yankee fans will have a great time in 2020 in upstate New York. This will be the eighth time on the ballot for Barry Bonds and Roger Clemens, the two players most suspected of having used PEDs to extend their dominance. I don’t think their path to the plaque gallery will be as smooth as some think. Todd Helton did a lot of things that the voters like: he hit .316 for his career and drove in a lot of runs. I think this time, in his third try, he’ll get in. He’s similar to a few other first baseman who have been welcomed to Cooperstown: Orlando Cepeda, Tony Perez, and Jeff Bagwell. Though two of those three waited a long time, so I’m not overly confident that Helton will make it this early. Curt Schilling hasn’t done himself any favors since he retired, making several controversial comments, many of them on Twitter. He’s the Donald Trump of Hall of Fame voting, except his election might be less likely than that of The Donald. Schilling’s political and social views shouldn’t matter, but when you have fewer than 220 wins for your career, there are some uninformed voters who will snub you. However, at some point the ballot clears and Schilling will build up from where he was in 2017 (45 percent) and get over the hump. Finally, in their tenth and final chance, Roger Clemens and Barry Bonds will get their day in Cooperstown. 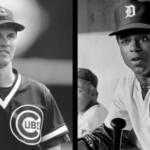 It won’t come without some boos and boycotts from a few Hall of Famers, but these two ultimately deserve to be honored. 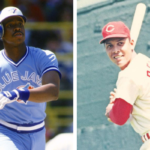 Before they turned to medicinal methods, both had Hall of Fame achievements. Perhaps it’s fitting that those two polarizing figures will share the stage with David Ortiz, who was beloved by Red Sox Nation. This class has a lot to offer: a pair of heroes for Red Sox fans, a Yankee ace, east coast superstars, and a west coast superstar. That’s how I see it. What say you? Tell me in the comment section below.